Starting GPS Co-ordinates: N50 78' 80" W000 02' 10"
Finishing GPS Co-ordinates: N50 79' 00" W000 03' 50"
To see: Hell. Move along. Quickly. NB: This is now a RESTRICTED Byway. Although I can't guess what the restriction actually is: it still seems positively awash with cars, and Google have clearly driven up it too! If one is ever unfortunate enough to find themselves in the 'foetid pit of despair beside the sea' that is Peacehaven, one would be forgiven for clamouring to leave as soon as they had arrived. 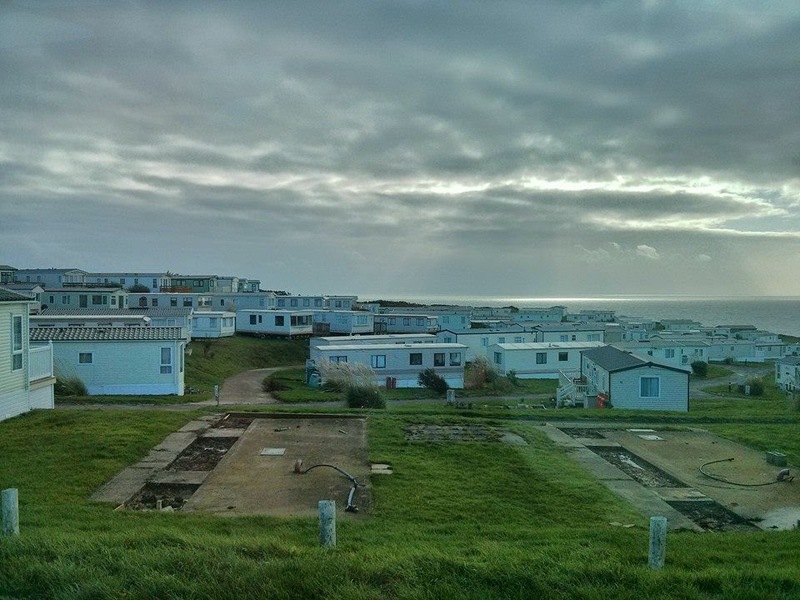 That perfectly good, beautiful and hither-to-unspoiled chalk downland could even conceivably be defiled by such an overwhelmingly vile bungalow-/caravan park-infested sore defies comprehension. If only the National Park had been created many years previously we may have been spared. Rather, the best thing that ever happened to the place is the tornado that tore through it a few years ago. Yet, don't be hasty: even here in the gaping maw of Hell there is a byway of (limited) interest to the greenlaner! Yes, people, I am not insane: it really is right there on OS 122! On donning my full NBC suit and heading to investigate, I discovered a heavily potholed but serviceably metalled road leading uphill from a derelict concrete expanse. At present it serves as little more than a service road for the inevitable static caravan park that plagues the coasts like some virus; what on earth of worth or value do people get out of staying in such places?! On cresting the hill one discovers it, festering like an open wound on the cliff top, begging for erosion or another tornado to end its wretched existence! On skirting swiftly past, the byway starts to head downhill whilst surface deteriorates into crushed brick/tarmac and becomes rather more heavily potholed than it already was. Even though the suspension gets a good workout the going is firm and very easy: third gear did for most of it, and foliage never encroaches. On passing a few nondescript-slash-miserable houses the byway soon turns to the north and continues on a more pronounced decline, before changing into Upper Valley Road and steeply ending back on the A259 not far from where one began. 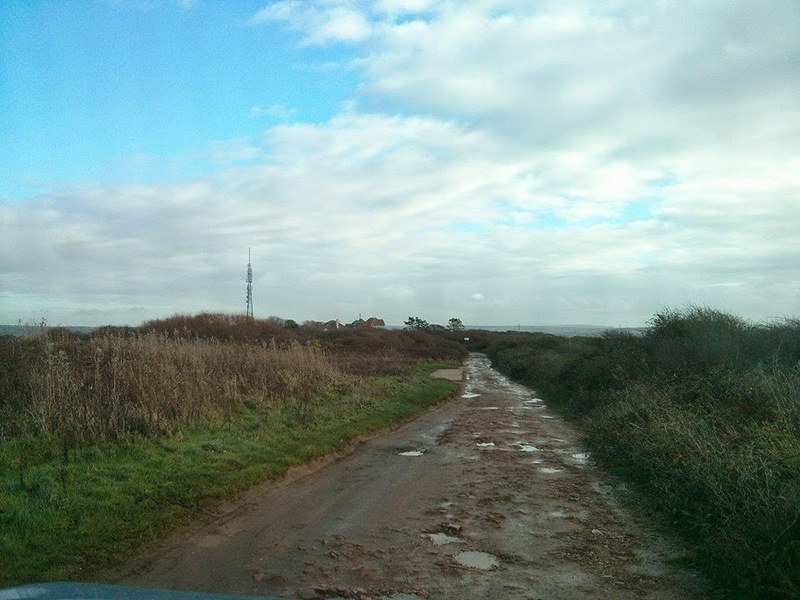 Seriously not worth the effort of getting to, and the one positive of my having driven this byway is that, with it now being adequately explored and my experience documented herewithin, I never have to visit it (or even think about it) ever again! To ESCC these are Restricted Byway 2 and 18, combined here for convenience.